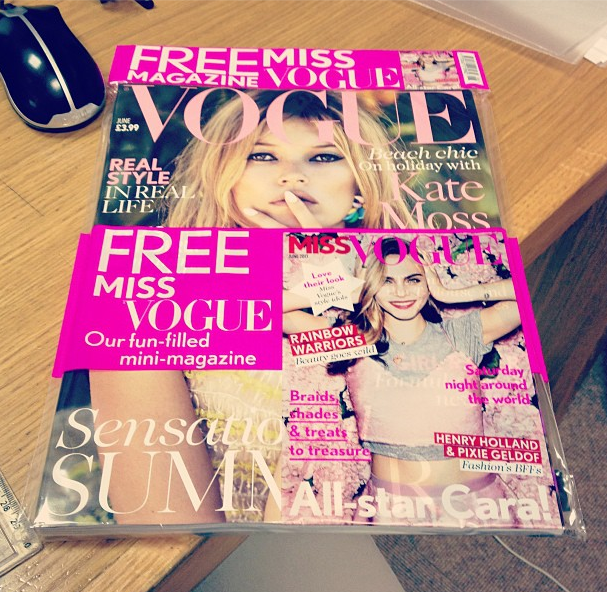 The issue of British Vogue’s very own Miss Vogue is set to be on newsstands next Monday 6thMay. As all always there is always a spoiler too it! Being a mischief fashion blogger that I am, I’ve done some research into the issue which will come out on the 6th May with British Vogue’s main June issue which graces Kate Moss on the cover. Miss Vogue magazine is aimed at a younger fashion-driven audience. The first issue of Miss Vogue sees model of the moment Cara Delevingne. You'll have to wait and read the two magazines to learn the latest trends and must haves.